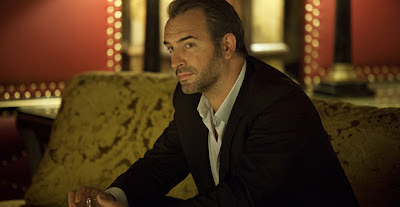 Jean Dujardin Oscar winning actor for the Artist follows that film up with a needlessly messy hopelessly convoluted spy film(sort of) that is one of the big head scratchers of Tribeca. What is this doing at this festival? The plot of the film has a beautiful young woman named Alice ,played by Cecile De France, who helped bring about the recent economic down turn working in Europe for a brokerage house owned by a rich Russian played by Tim Roth. The Russians, who may or may not be working with other people (it's not clear) want to use Alice to get the goods on Roth. The team is headed by a brooding Dujardin. What exactly happens after that point is open to conjecture as Dujardin ends up in Alice's bed as Tim Roth and his head of security ponder if they can trust her... and oh yea the CIA is somehow involved. On the plus side the score is excellent. While the film is much less hideous than I'm making it out to be by the time everything plays out and you realize what the film is about you'll probably be like me and care even less. I saw this for free at a press screening and couldn't help but feel I over paid.